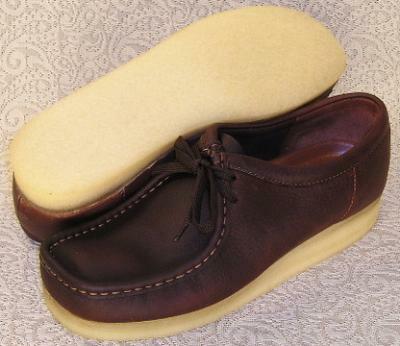 Remember this one(TM) This footwear classic originated in 1965 when Lance Clark sketched out a moccasin built on Clark's Nature-formed last to create the world's first comfort shoe. The soft suede or leather, hand-sewn upper cradles the foot and eliminates any "break in" period, and the genuine plantation crepe outsole cushions your every step. The Wallabee is a great casual boot for the man looking for comfort in a classic design.